It can be difficult to know what to do first after a car accident, especially if you or one of your passengers has suffered a serious injury. Unfortunately, victims who are overwhelmed by the effects of a crash may make mistakes during the filing of their insurance claims, mistakes that the insurance company then uses to deny them the recovery they desperately need. Our Illinois car accident attorneys have provided some key tips on filing car accident claims to help victims get the best possible resolution to their claims—as well as steps to take when an insurer is not providing enough to cover the full amount of losses. After you have sought emergency medical care (which you should always do first! ), you will need to notify your car insurance company of the accident. Many insurers allow claims to be filed online or even via mobile phone, often with just a few initial pieces of information. While this may be convenient, it is important to provide only information that is necessary to process the claim. Some insurers may ask you to provide a description of how the accident occurred. Since the insurance company can use anything you say when determining the value of your claim, it is best to be as brief as possible and provide only the facts of the crash, such as which side of your vehicle was struck and how many people were in the car. 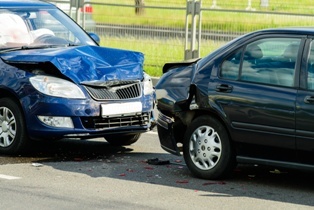 Once your car insurance company receives your claim, an adjuster will be assigned to your case. The adjuster will perform an investigation on behalf of the insurance company, and compare your losses with the specific coverage included in your policy. Fault. The insurer will only pay for damages if they are required to do so by state law. For example, Missouri is a “fault” car accident state, so many injuries and property damage are paid for by the at-fault driver’s insurance company. While Illinois is also a “fault” state, it follows a rule of comparative negligence—meaning a victim’s insurance payment may be reduced if he shares some responsibility for the accident. Repair bills. If your car was damaged in the accident, the insurance adjuster may require you to get an estimate for repairs from a local body shop. Some adjusters may ask you to go to several different repair shops in order to compare quotes. Medical costs. A car insurance company will only pay for medical costs of an injury that is directly related to the car accident. The insurer may ask you to sign a release form so that the company can see which medical treatments you are claiming. Wage losses. If you are unable to work because of your injuries, the insurer will likely ask for proof of wage loss—such as pay stubs or doctors’ notes—before paying any amount for lost income. Policy limits. An insurer will not pay more than the maximum amount of insurance that the driver has selected on the policy. In fault states such as Illinois or Missouri, injury victims are restricted to recovering an amount that they themselves have no power over. If an at-fault driver chose to purchase the minimum bodily injury coverage in these states, injury victims are limited to recovering $25,000 per person and only $50,000 per accident—an amount that may fall far short of actual injury costs. Statements. An insurer may scrutinize the details to reduce payment for each aspect of your claim. If the police report noted that your tires were bald, a witness said that you were not using your signals, or your medical records showed a previous injury to the same part of the body, you may have to fight to get full value for your claim. Given that the insurance company will do everything it can to deny or reduce your claim, it's vital that your claim is handled properly from the very beginning. Don't risk handling your claim on your own, contact the experienced car accident lawyers of Tapella & Eberspacher today. Complete the form on this page to request a free, no-obligation consultation to discuss the specifics of your case.